Tesla has lost its Chief Accounting Officer Dave Morton after only one month on the job. Morton is the second Chief Accounting Officer at Tesla over the last 6 months. He resigned on September 4 after starting on August 6. In an 8-K filed early on Friday morning, Tesla disclosed the news. It claims that Morton did not resign for reasons having to do with the company‘s financials, but rather he resigned because of "the level of public attention placed on the company, as well as the pace within the company". The public attention and pace at the company likely picked up after Elon Musk's "funding secured" Tweet, which happened the day after Morton started. Welcome to the company, Dave. Tesla’s accounting functions and personnel will continue to be overseen by both Tesla’s Chief Financial Officer and its Corporate Controller, as had been the case prior to and during Dave’s transition to Tesla. This comes just months after the last Chief Accounting Officer, Eric Branderiz, resigned. Branderiz resigned from Tesla back in March of this year. The company spent a couple of months looking to fill the position, which they finally did in August of this year with Morton. Musk's famous “funding secured" tweet also resulted, reportedly, in a formal SEC investigation. This certainly doesn’t help the stave off the bearish argument that executive turnover at the company has been alarming. Morton now adds his name to a long list of names who have churned through the Tesla C-suite, though his tenure of one month may be some sort of land speed record. 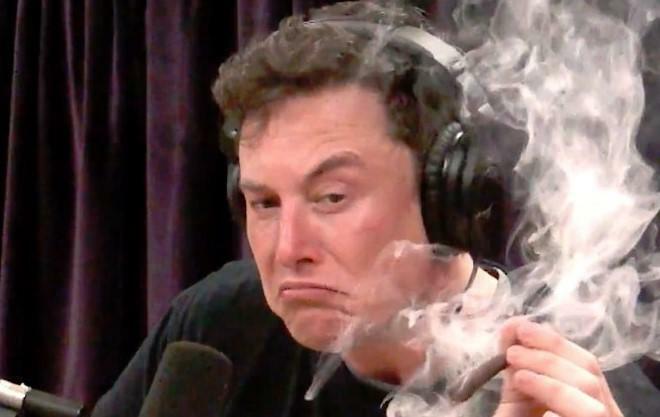 Elon Musk didn't seem to be bothered by the news. This news comes on the morning after Musk was spotted smoking marijuana and drinking whiskey on the Joe Rogan podcast.